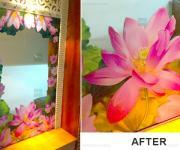 Project: Enhance / improved home interior. 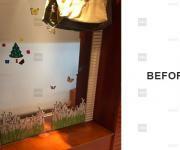 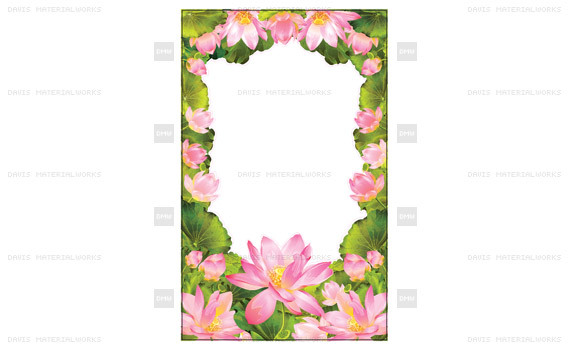 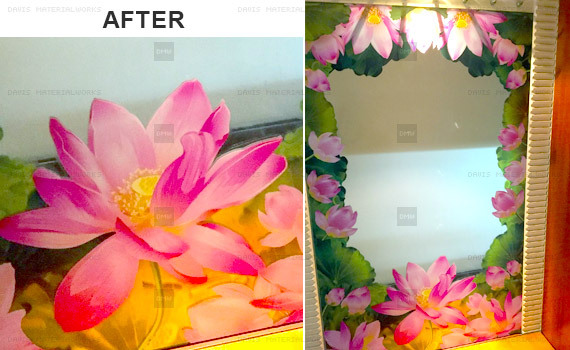 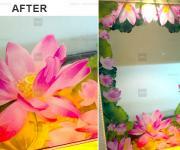 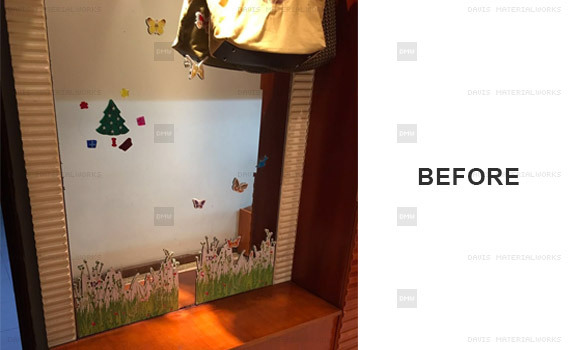 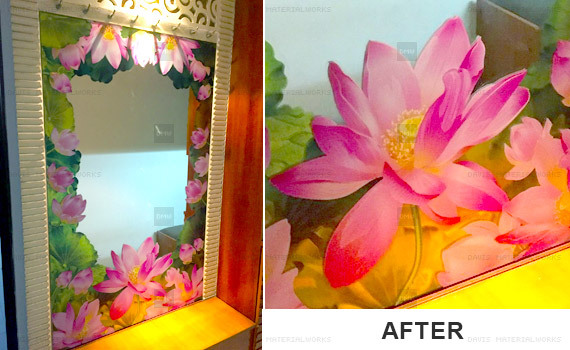 The walk way mirror looks plain and old, so we visually enhance it by using UV printed sticker with beautiful lotus flower. 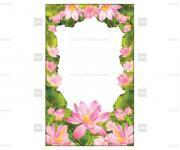 The printed graphic can also be touch as in there are some featured areas are embossed.